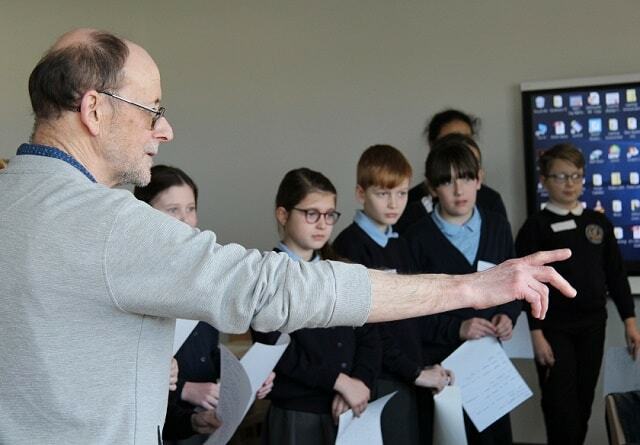 Best-selling author Brian Moses has published a poem on his blog penned by a Westgate eight-year-old after being ‘bowled over’ by its quality. 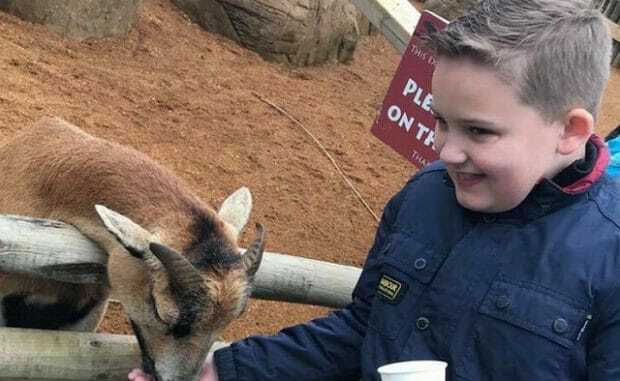 This Goat was written by St Gregory’s primary pupil Bradley Lawrence during an ‘Able Writers’ programme led by Mr Moses at Holy Trinity school. It was the first writing day Bradley had been to and the result was the brilliant poem. 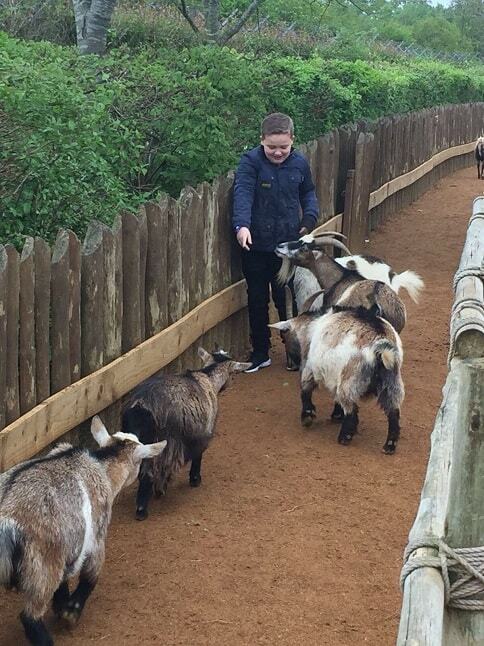 After publishing This Goat on his website Mr Moses (pictured) said: “Having spent the last 43 years promoting writing in schools, both as a teacher and as a writer in schools, it takes a lot to surprise me, but Bradley did just that. “I think he’d had one of those moments where he’d pushed a button and ideas just came tumbling out of his head and onto paper. I’d noticed him writing furiously at the Margate able writers’ session, totally on task, and was keen to find out what had engaged him so much. When I read his poem, I was bowled over by his idea, the way that he’d developed it, and the clever way he had ended it. “I always talk, in these sessions, about the importance of the last lines of poems, how they can make the reader smile or laugh, be sad or frightened, think of wonder. Bradley’s poem touches quite a lot of those areas for me. 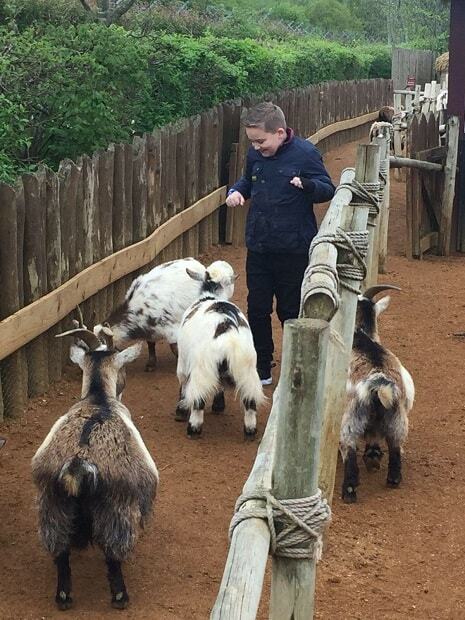 Bradley’s mum Cassie said the poem was inspired by a family trip to Colchester Zoo. The mum-of-two said she and husband Stephen were ‘surprised’ but proud when Bradley’s poem was published. She said: “The poem is quite articulate for an eight-year-old. It took me by surprise a bit as in Year 1 he wasn’t that creative in writing but maybe being at the able writers day inspired him. “When Brian Moses put it on his blog Bradley was really chuffed and was reading all the comments on facebook and twitter. He has been through portals made of sausages. This goat can build houses, schools, play cricket and can build time machines and keep people as pets and can make wars happen. He has dug holes and made holes and kills goat warriors and this goat rules the world. This goat can buy mansions and he runs goat factories and is a billionaire. He has climbed mountains, built monuments and cities, he is the king of the world and if anyone stood in his way he would annihilate them. This goat owns all the football teams including a gold football club and footballs. He has claimed himself king of the whole of space and is the reigning king of all things. This goat is the richest living thing in the universe; he owns diamonds, emeralds, pearls rubies, sapphires and amethysts. He rules the universe and even the multiverse for thousands of years and he is the strongest most powerful thing in the whole of space. This goat has been on adventures that could not just kill you but also destroy your soul and spirit. He is the most powerful thing ever. This goat cannot be killed he is a miracle to all of goat kind and he is like a goat God. He is the best, also the best thing that has ever lived. This goat is our Saviour.